This 103.83-carat diamond was offered for auction at Sotheby's Geneva location in November 20th, 2003 with an estimate of $8 to $10 million. It is described by gemologists as Type IIa, D-color and Internally Flawless – adding even further to its rarity. It was discovered in South Africa's legendary Premier mine. 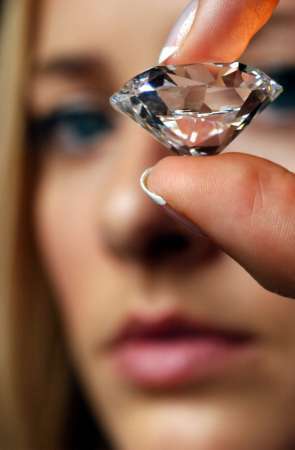 Some news articles on the diamond have mentioned it was cut in a cushion shape in tribute to the famous Hope Diamond. The cushion-shaped stone is one of the largest Internally Flawless diamonds of D-color grade to ever appear at auction, was discovered at South Africa's Premier Mine, is only the fourth diamond of perfect color and clarity weighing over 100 carats to be sold at auction, Sotheby's said. In May 1995, the Star of the Season sold for a record $16.7 million. Alexandra Rhodes, head of jewelry at Sotheby's Geneva, said the estimated price of the latest gem reflected the current market. "I think for a stone of this caliber it's a rarity for the market and that's the right (estimated price) for today’s market," she said. "The person who buys it will also have the privilege of naming it." The process of planning, designing and cutting the rough crystal, which took place in Johannesburg and New York, took over eighteen months to complete and was done by the Steinmetz Group. 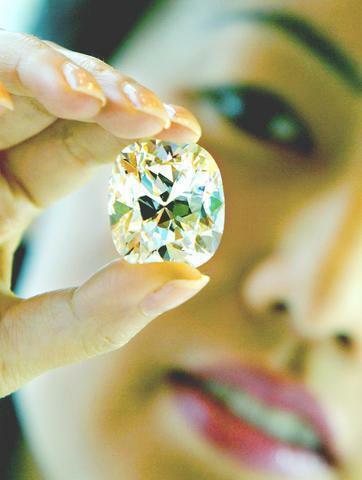 During the summer of 2003 the stone was exhibited at the Smithsonian Institute in Washington DC along with a handful of other rare diamonds as part of the Splendor of Diamonds Exhibit. It was not initially featured in the exhibit, but rather added during its last month as a gesture of thanks the public for making the exhibit so popular. It ultimately failed to sell at the auction and is owned by Steinmetz to this day. Sometime during 2006 or 2007 Steinmetz named the stone the Steinmetz Sirius.